I would love to say froggy goes to Hollywood. Well he/she never went to Hollywood but definitely met Metalhead, out in a bush camp in the wild Bushveld were he/she lives. Also found an umbrella with a wooden frame, to park off in, as well. This was a regular affair, which we got to see every day for four months. 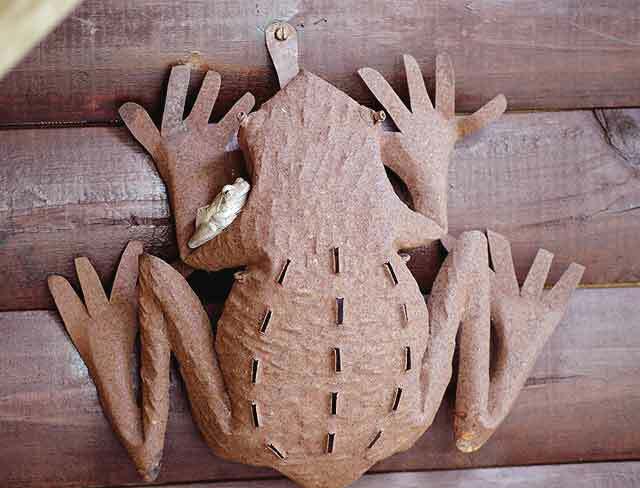 This, in case you are interested, is none other than a foam nest frog. Why? Well it makes foam in a tree above water and in there lays its eggs that hatch and fall into the water. 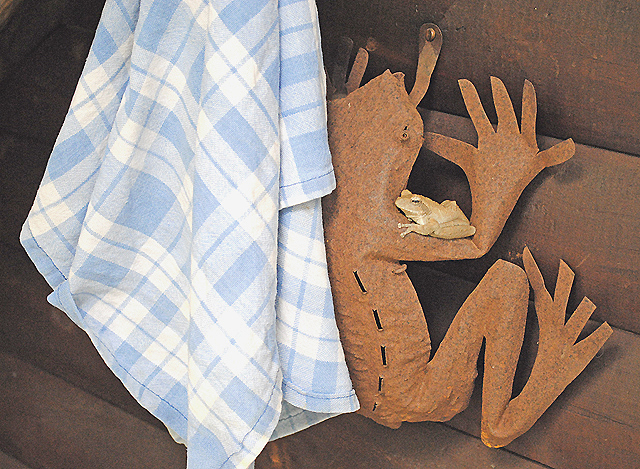 So I thought I’d share some of our frogs domesticated pics with you. Some of the insects that we find from time to time, are so interesting and unusual I have decided you may like them too. 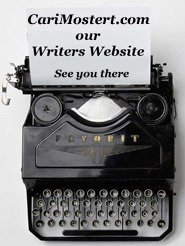 Hope you find them as entertaining as we did. There is one pic – the last one is of a sunset that fascinated us – so here is the result with no image shopping done. The blue color was simply there and what the phenomenon was that caused this I don’t have a clue, other than it was some sort of light refraction. 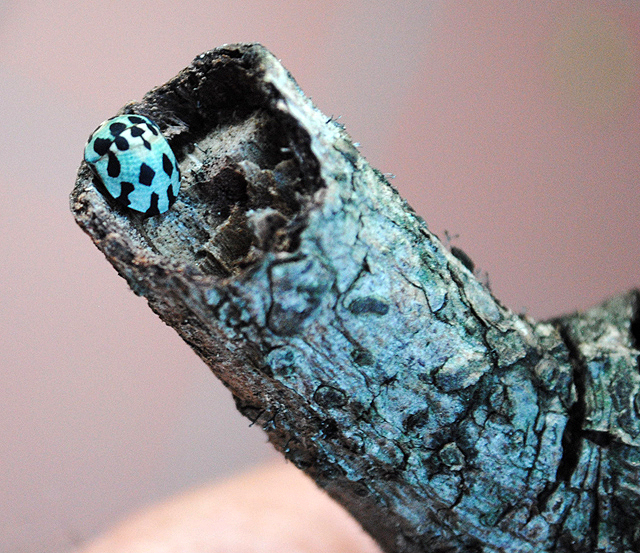 The blue on the wood of the branch with the blue bug was definitely there and that the bug also saw, to make itself invisible to predators of our Bushveld. Will bring you another group of pics of a similar nature soon, enjoy. Froggy Goes to Brollywood. 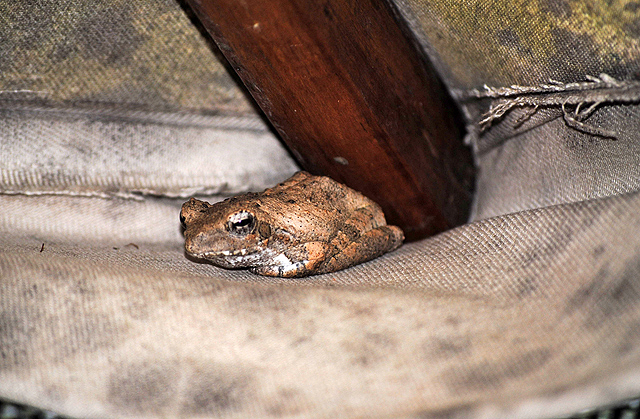 Froggy in a Brolly Flap. You can say that fast if you like. 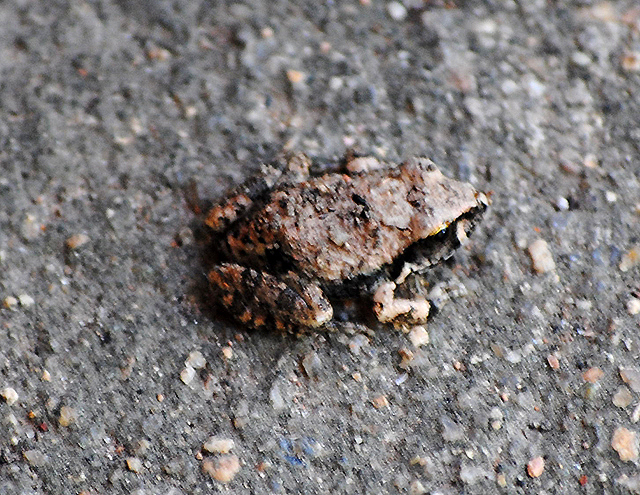 This next frog identified it’s terrain with that of the concrete and you can see why. 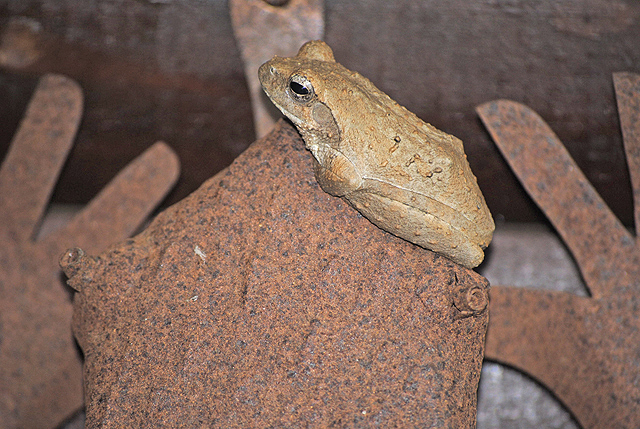 This terrestrial frog is no larger than a US dollar coin when it is spread out flat – no we never stepped on it. There are a few around if one looks for them carefully. They are usually in sand and very hard to see. The best time to find them is when they call and that is a very loud and attractive sound, a series of short burred whistles, so keep a look out and don’t step on them if you enjoy the night time sounds of the bush. These are some of the Bushveld singing frogs and are the Bushveld rain frog. Concrete or Frog. This is a Bushveld Rain Frog. As I said in the intro for the next image, the blue is the blue on the stick, which in fact is still on the tree and may account for our last photo’s strange colour (see below). 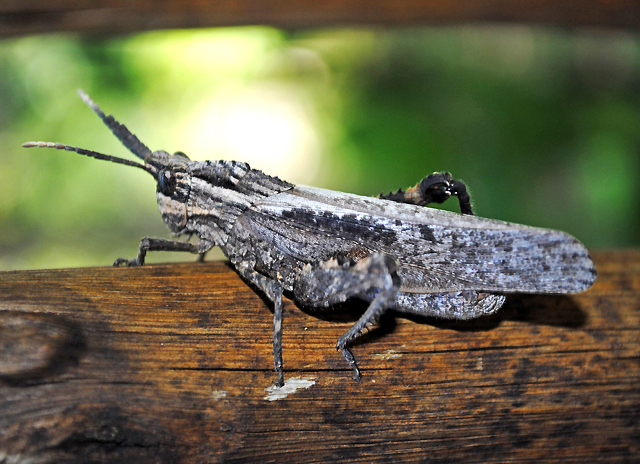 The locusts of the Bushveld are one of the hardest insects to see, when they are even right in front of you. 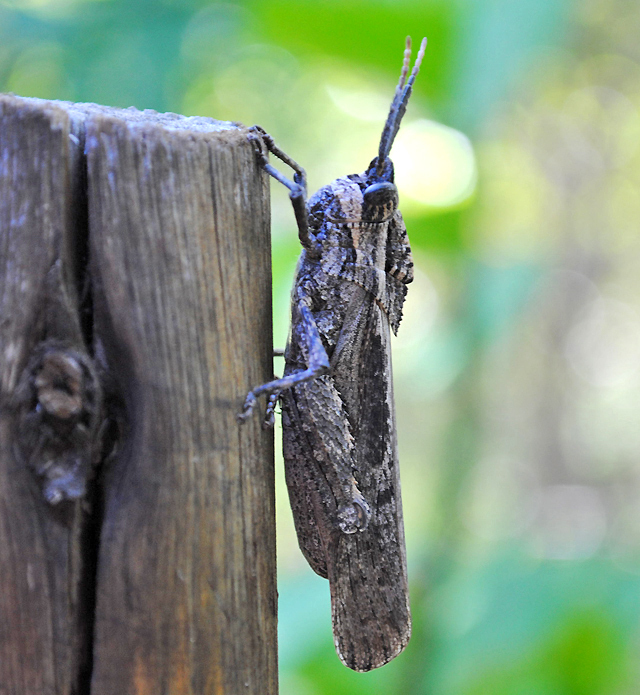 This rain locust – makes a sound like falling water (stridulation) – and the next, were a little out of their element, so to say. 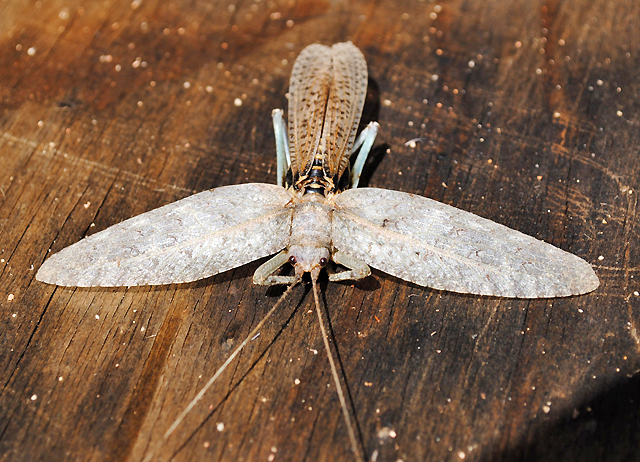 The fourth image is of the locust simply flying out onto the wooden deck, opening its wings to sunbathe, which I found very strange. Then after a half an hour, it just flew away. So maybe it is a solar operated model then? 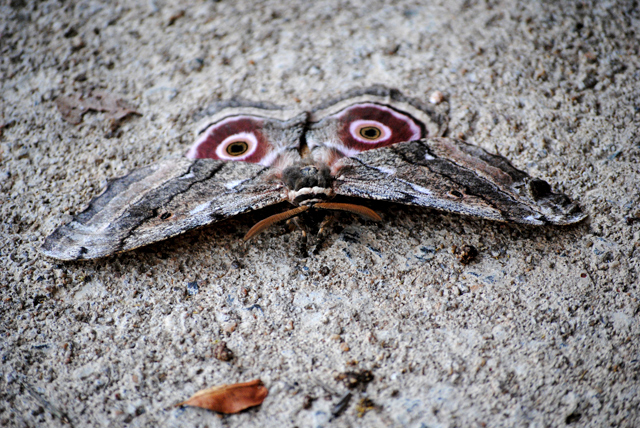 This is the famous Mopani moth, also known as the Emperor Moth. 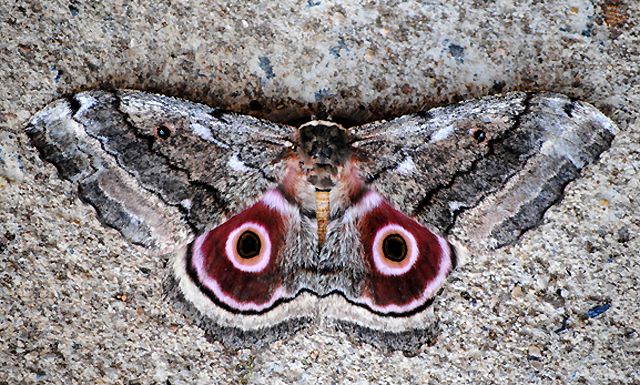 This moth when a caterpillar, is a real delicacy by locals and are gathered in large numbers to fry and eat. They are also dried and used as a type of biltong, being able to store for long periods of time. These caterpillars are very high in protein, which was sorely needed in the dry region where they mainly occurred naturally. Today these worms have become a multimillion industry and when fried are said to taste like honey barbecued chicken. I know the dried ones to taste a bit like sherbet. A spider is a spider, right? 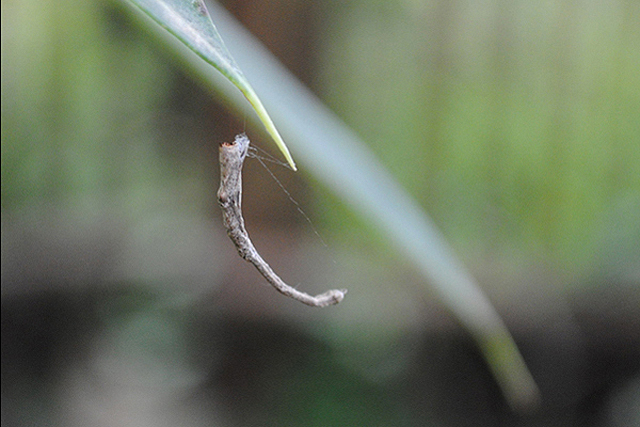 No, a spider can also be a dangling stick. See for yourself and decide. 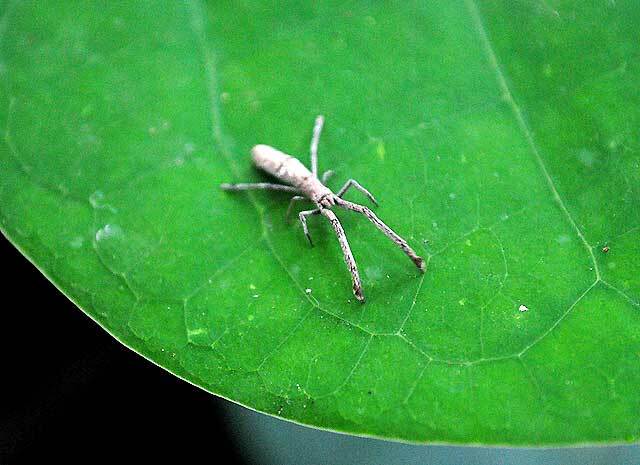 Maybe you have even seen one of them before, without knowing it was a spider. It’s a spider alright, count its legs and check out the biting bits. I walked into this one face first at dusk. Now these are a marvel of the Bushveld and of nature. 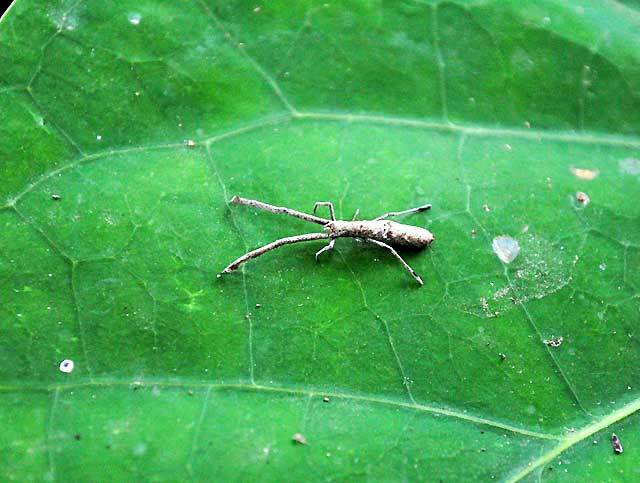 The size of a gnat or a small midge – not the Scottish type, for sure – I know these well. 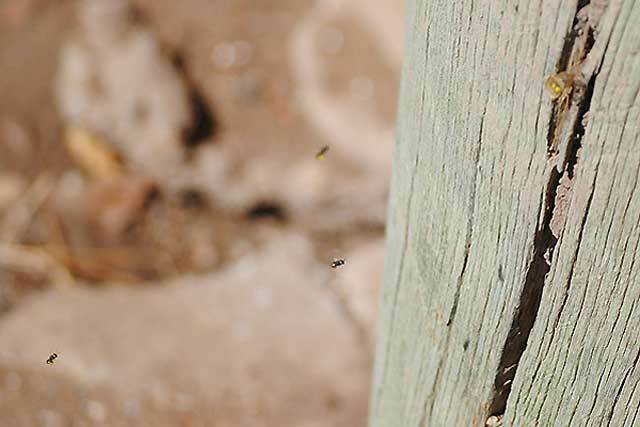 As you can see they are taking pollen to their plastic tube in a crack in the wood. I can’t imagine how big their burrow or hive is, but there are hundreds of them going to and fro. Firstly, they cannot go in and out of their plastic funnel at the same time. First the ones going out stop and the ones outside in a holding pattern wait and when the all clear is given – I don’t know how – the ones in the holding pattern go in with their pollen load. This makes for tricky photography all round. This obviously goes on ad infinitum all day long. 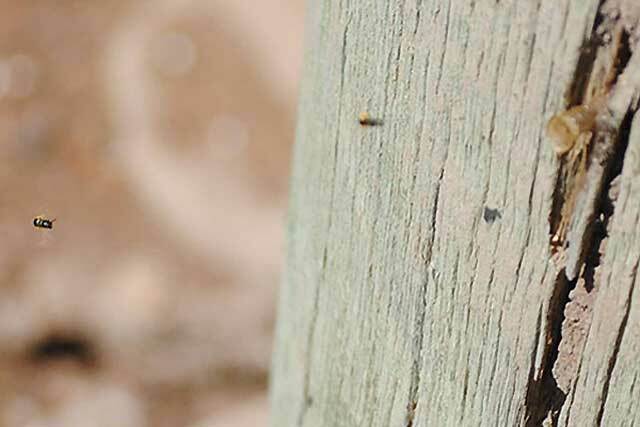 Their wings make a sound like a midge – so they could even be a midge – well no, they are a subspecies of the stingless mining bee gathering pollen? 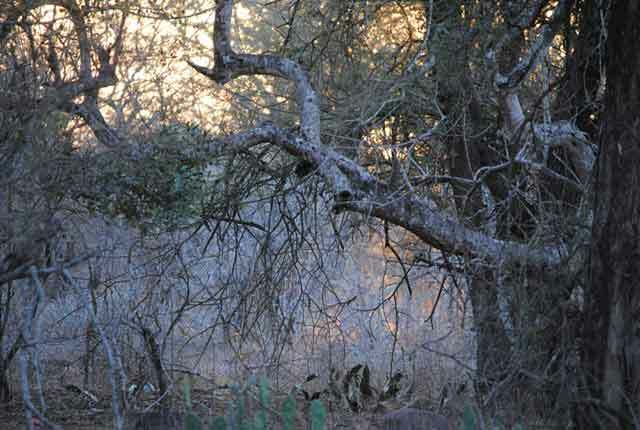 Try looking into the sunset next time you are out and about in the bush. 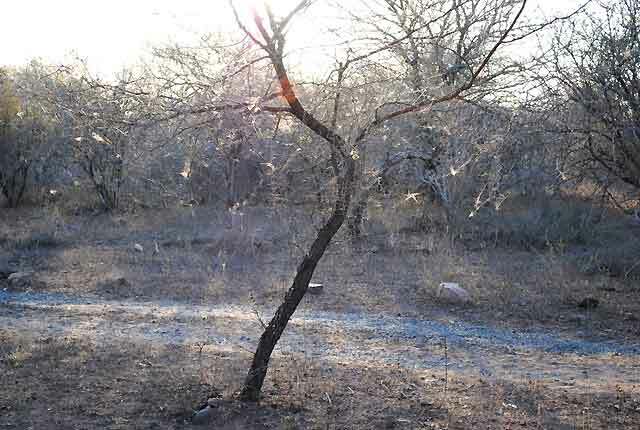 I know this is also visible in the early morning mist or dew but I can tell you, it is a much more impressive sight in the evening, as the spiders come out to play. The next one was a very fast and slick water monitor I only just managed to photograph, before it careered of into pastures unknown. Not the best of markings, although it was full size. 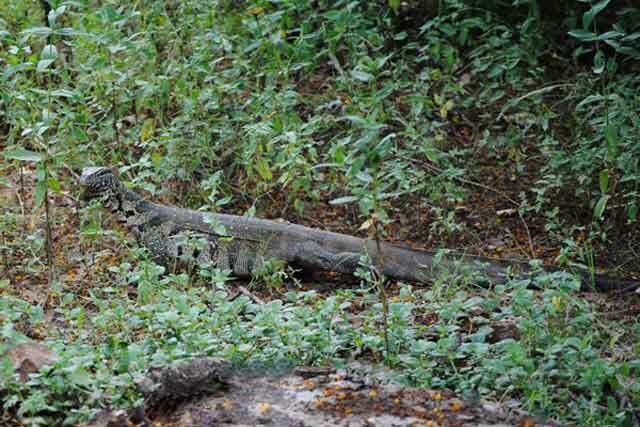 This monitor (Varanus niloticus) – or water leguaan as it is locally known – I found far from any known water source, which may have had an effect on its colour. These monitors lay their eggs in a termite mound for a perfect temperature control while they incubate and hatch a year later in early summer. 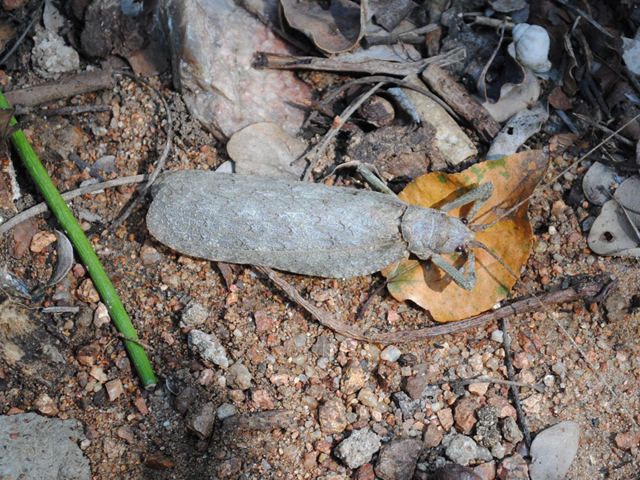 This monitor may have been laying its eggs in a nearby termite mound, which are plentiful here and could account for its dirty colour. These monitors are mainly preyed on by python or crocodile. The now famous blue sunset in a perfectly normal balmy day. You decide ‘who-dun-it?’ Until next time then, keep well.